Turn your investment into an incredible work of art. Express your individual taste and add value to your investment. Brought to life by our in-house jeweller. Collaborate with our in-house jeweller to design a truly unique and personalized setting. A Computer Assisted Design (CAD) will be generated for you to review the final concept and make any necessary adjustments. 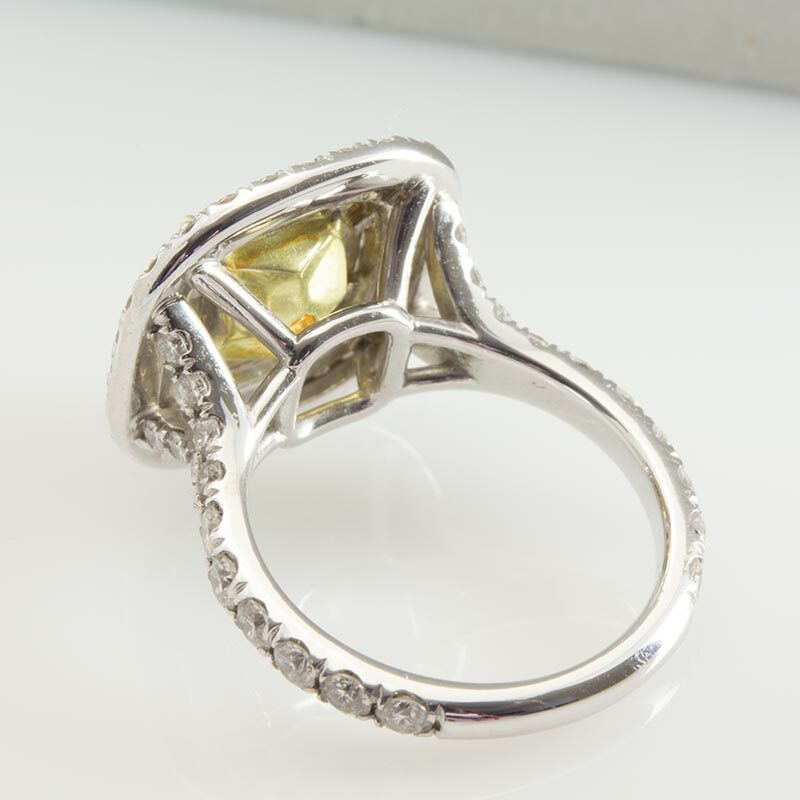 Once approved our jeweller will create your piece of the absolute highest quality and craftmanship. Guildhall’s talented designers work exlusively with natural fancy color diamonds and understand the best settings to show off these exquisite diamonds. 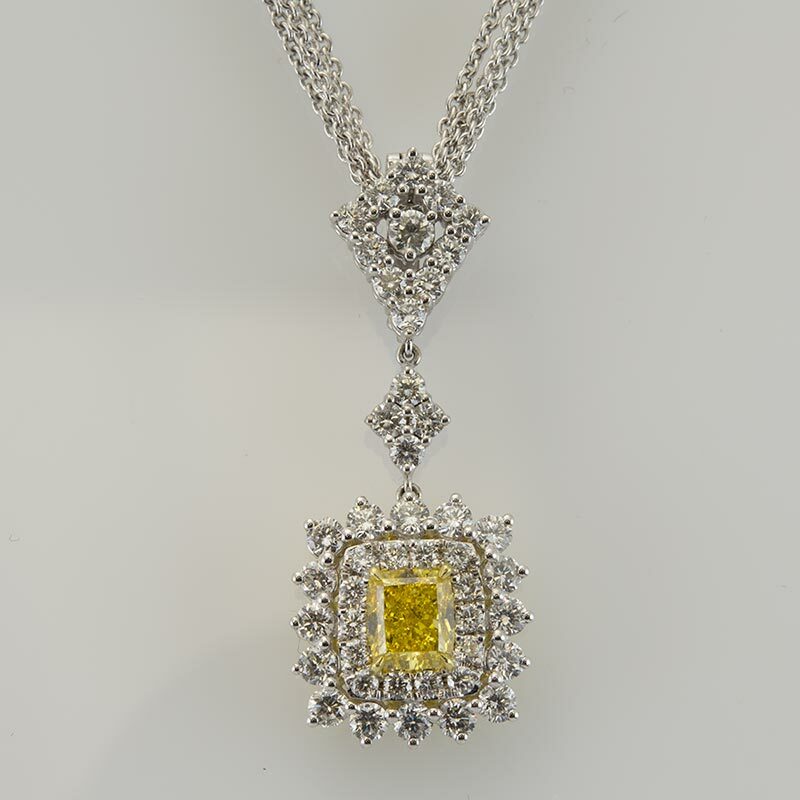 Our jewellers will work with you to create a statement piece that not only showcases your color diamond in a way that makes you feel truly special, but adds value to your overall investment. Set up your consultation today. 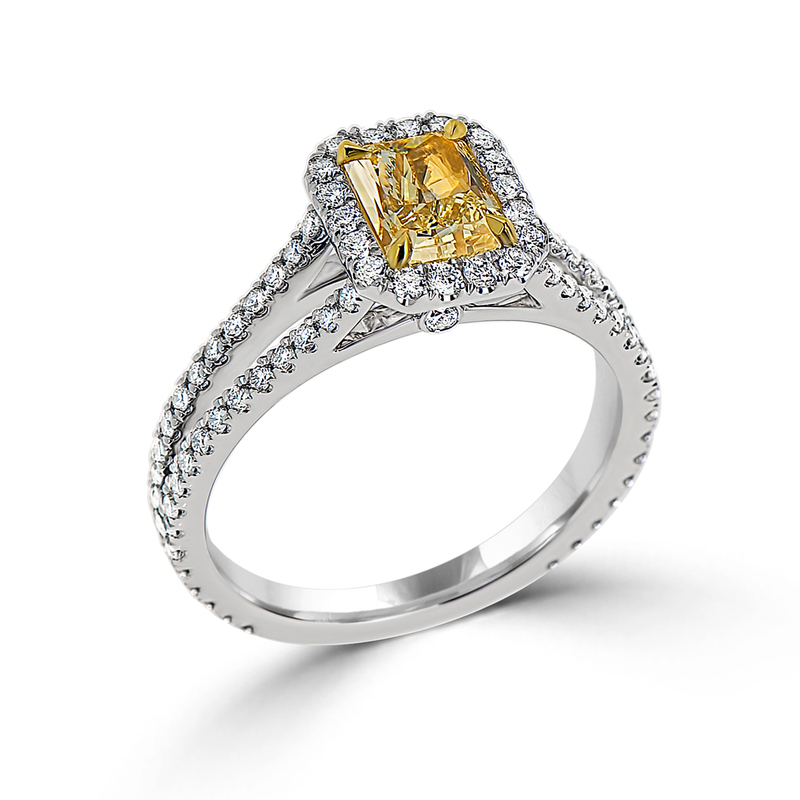 Guildhall offers a selection of the highest quality natural fancy color diamonds. These are some of the most rare diamonds available today. 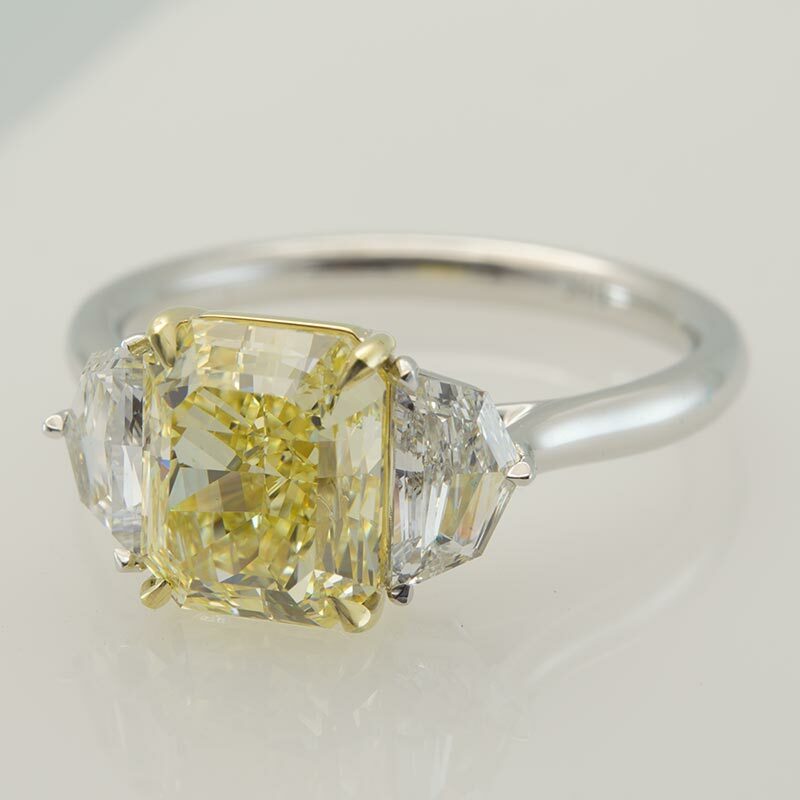 Guildhall works with clients and talented jewellers to create stunning settings for their investment diamonds. We call it Wealth to Wear ©. Handcrafted custom jewellry pieces designed just for you. 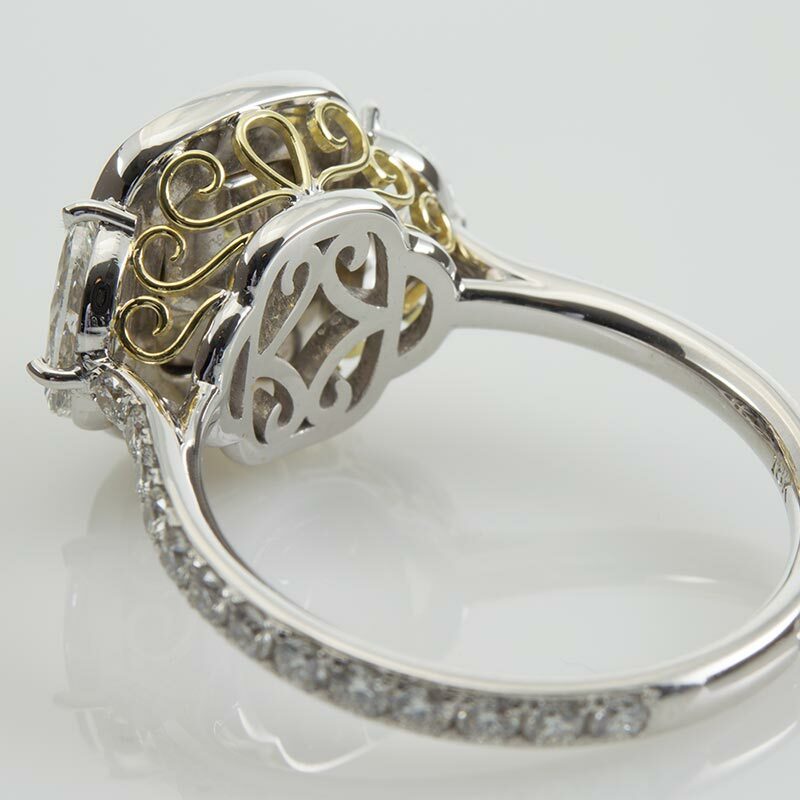 We are confident your new, exclusive piece of jewelry will prove timeless and enduring. For centuries, accumulating colored diamonds was a secret of savvy investors concerned with wealth protection. As they prove more difficault to acquire, these magnificent diamonds become more valuable and prestigious with every year. 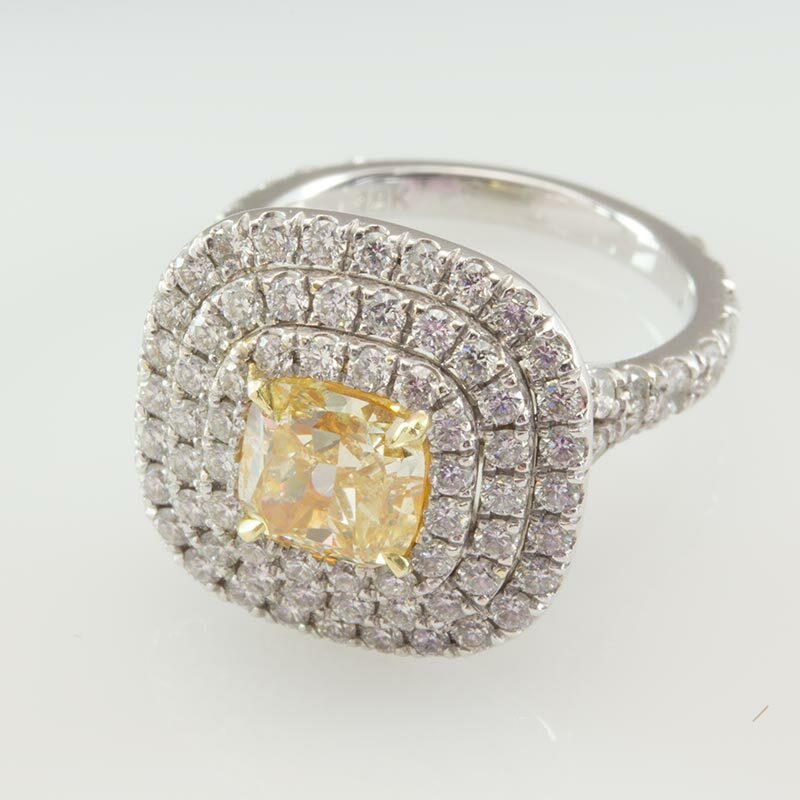 Celebrities are often seen on red carpets wearing color diamonds and high-end jewelry stores are now promoting them. 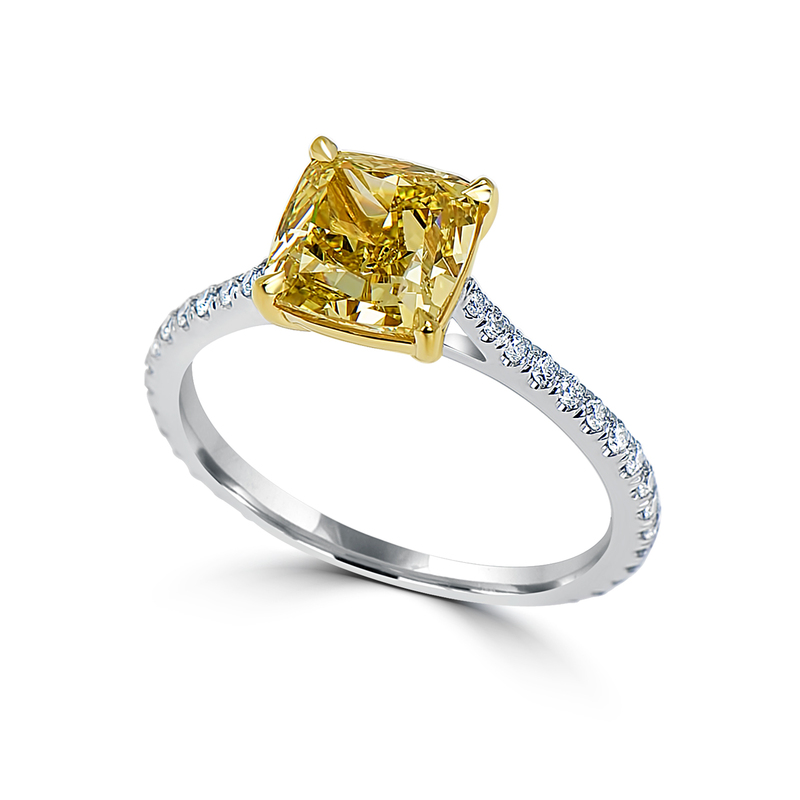 However, it is not just the world of fashion that have taken notice of color diamonds. Color diamond investing continues to grow as an alternative to traditional stock and real estate portfolio. According to the Gemology Institute of America 1 in every 10,000 white diamonds mined will be considered a color diamond. 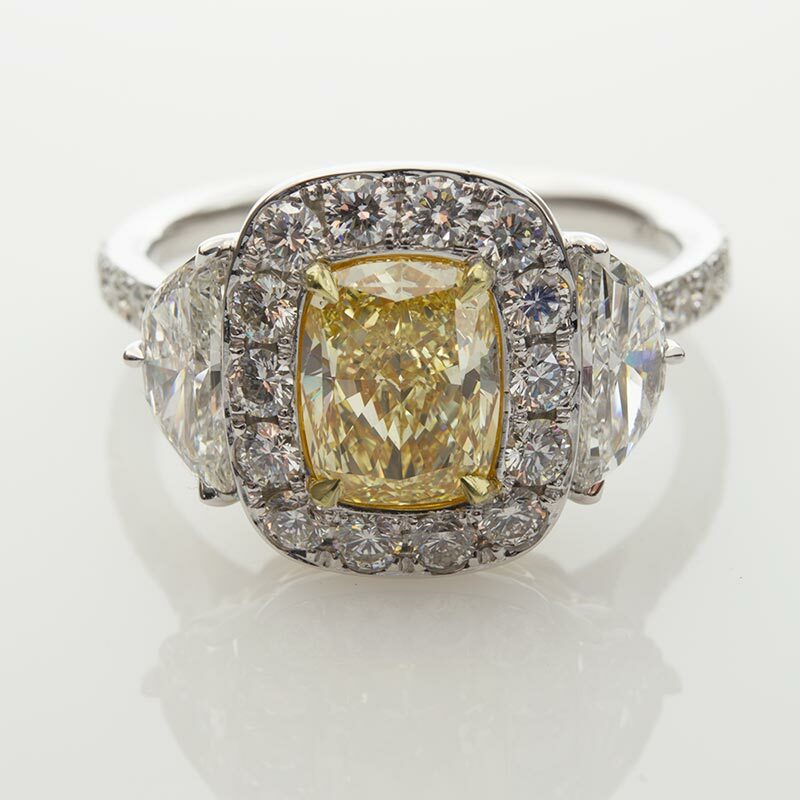 It is this rarity that continues to drive the prices for color diamonds higher. 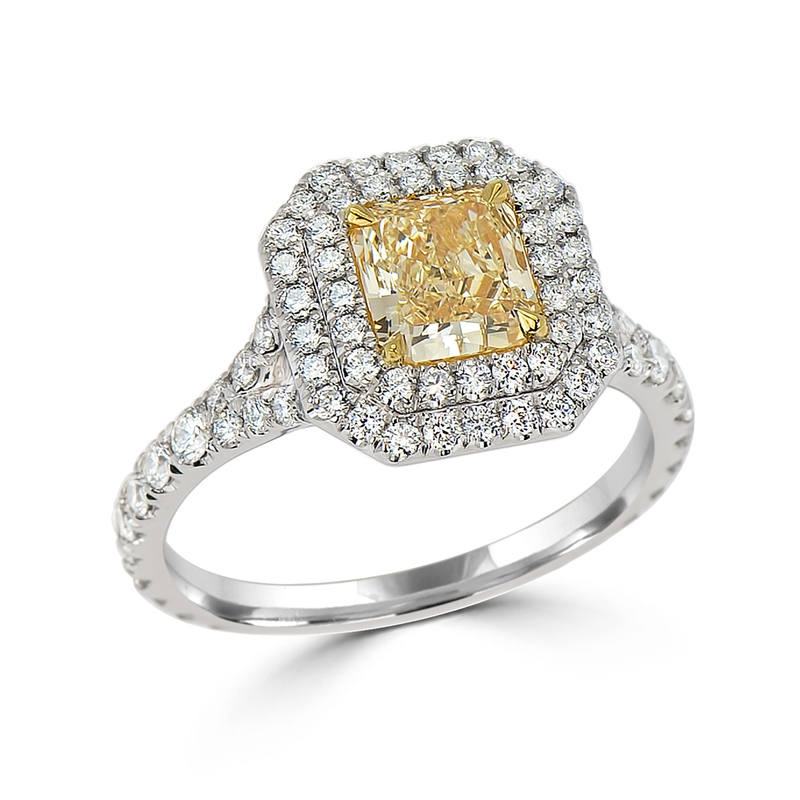 It is the rarity and unique expression that only a color diamond can bring that is making natural fancy color diamonds increasingly popular in jewellery.